The Biota Aquarium concept – All in one aquarium, pre-selected livestock direct-to-your-door, and a recipe for success. Biota Aquariums is a start-up company that is poised to introduce the beauty of marine aquariums to the masses. Founded by biologists Kevin Gaines and Tom Bowling, the marine hobby has been struggling to entice young adults and children due to a variety of reasons. While the technology to keep and even breed marine species in captivity has been more than adequate, the commercial availability of healthy livestock has been one of the main limiting factors on the consumer’s first experience. By eliminating multiple chain of custodies, the fish and corals are conditioned and delivered without the usual exposure to numerous holding systems with many different types of bacteria and parasites that are naturally present in the trade. With the goal of creating successful new marine enthusiasts, the Biota Aquarium comes complete with three sustainably sourced fish and several soft coral options for the novice aquarist. The fish and corals are pre-selected to thrive in the 12 gallon Biota Aquarium ecosystem. Water quality and vital trace minerals are maintained by the simple exchange of 1 gallon of seawater per week. Biota Aquariums is proud to offer unique cultured species from the Biota Marine Life Nursery in Palau, as well as ORA. Additionally, Biota Aquariums has strategic partnerships with Fluval for the new EVO 12 aquarium as well as other necessary hard goods, Two Little Fishies for live sand and sea salt and Real Reef Rock for the live rock. 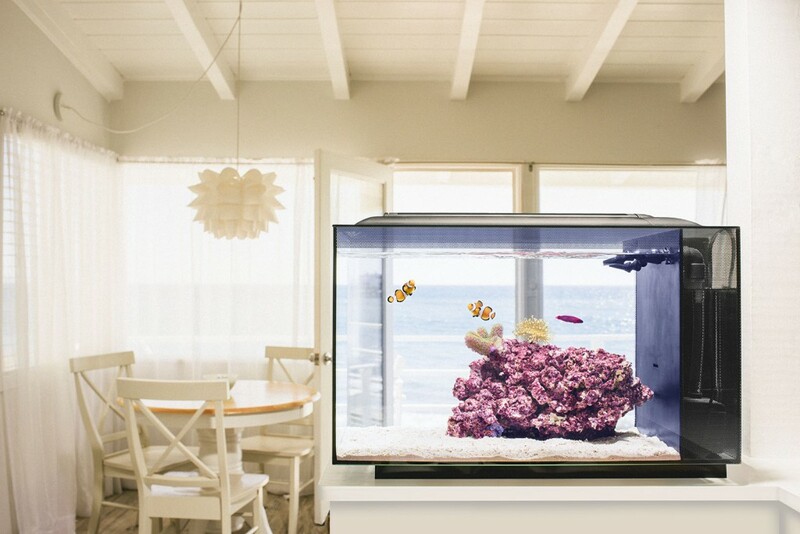 The Biota Aquarium will be available soon through retailers as well as direct to the consumer. The customer will buy the tank, set it up and then activate a livestock code to receive their live rock and fish/corals. Biota Aquariums livestock will come from their holding facility in Florida direct to the consumer and eliminate the need for the retailer to hold or acclimate the fish or corals in their systems. For more info go to www.biotaaquariums.com and sign up for their newsletter.